Zikodrive Motor Controllers was launched in 2015 as a trading name of Round Bank Engineering ltd. Round Bank Engineering ltd was originally started in 2012. However after developing several small projects for a number of individual customers the company history took a major turn when it was decided to take the plunge and develop a small range of stepper motor controllers and sensorless brushless motor controllers. The guiding philosophy for the Zikodrive range was to produce controllers which were intelligent but which could be quickly customised to fit a range of applications. The original Zikodrive stepper motor drivers (the ZDS and the ZDSP) were developed throughout 2014 and early 2015 and Zikodrive Motor Controllers was formally launched as a company in September/October 2015. 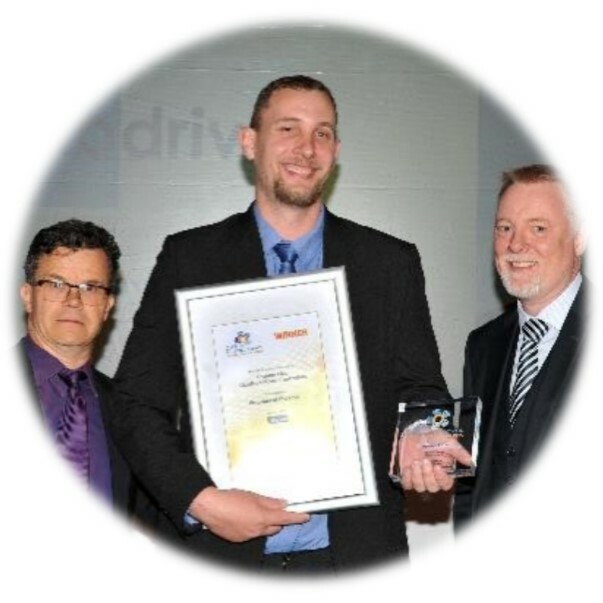 The company worked hard to develop a presence in the motor control market throughout late 2015 and was recognised for the technical development work that had gone into the range when Technical Director Graham Fick was shortlisted for ‘Motion Control Engineer of the Year’ at the Motion Control Industry Awards 2016. This event was the first major recognition the company received and we were very proud of Graham making the shortlist. The company worked hard throughout 2016 to build on this early recognition and establish its standard range of motor controllers as well as building relationships with a range of companies who required more bespoke motor control electronics. As a result of these developing relationships and increased market knowledge the company then took the decision to start investing in the development of a range of sensorless brushless motor controllers. This ongoing work led to the launch of the ZDBL range of brushless motor controllers in mid-2016 (something both Phil and Graham had experience of from previous design projects). The company spent significant time and money investigating the growing use of sensorless brushless motors as a lower cost, more reliable alternative to sensored brushless motors and a longer life alternative to brushed DC motors and the resulting ZDBL range of sensorless brushless motor controllers has been hugely successful, delivering compact, intelligent motor controllers capable of working well in a large range of applications. Considerable investment was spent developing programmes for the ZDBL range of brushless ESCs which would optimise the startup phase and overall energy efficiency of these brushless motor controllers and the ZDBL range is now the company’s most popular range, being sold all around the world. Sensorless brushless motor control continues to be one of the main areas of research and development for the company. Following this development and the successful launch of the ZDBL range the company received further recognition by being shortlisted for ‘Startup of the Year’ at the British Engineering Excellence Awards, a prestigious awards ceremony held in London every year. Sadly, the company once again fell just short of winning the award but as with the Motion Control industry Awards earlier in the year, we were delighted to be shortlisted, given the intense and high quality of competition for such places. As of late 2016, the company had begun exporting regularly into Europe and further afield into the Middle East and North America and began to take on much more bespoke project work for a range of companies in the UK and further afield. Graham was once again nominated to the Motion Control Industry Awards where in 2017 he won the award for Engineer of the Year, something both himself and the company as a whole were very proud of. Work continued throughout 2017 on expanding the Zikodrive range of brushless motor controllers with the ZDBLDC range of four quadrant brushless DC motor controllers being launched later on in the year. The year finished even busier than it had begun with the company’s rapid customisation and bespoke design service becoming hugely popular with a range of companies in a number of industries and the stock range continuing to sell well. As part of its ongoing growth, Zikodrive moved to larger premises in early 2019. The company is based in Cragg Vale, a beautiful valley which rolls down from the top of the Pennines to meet the Calder Valley. The valley is known for its impressive scenery but has also featured on the Yorkshire leg of the Tour de France.